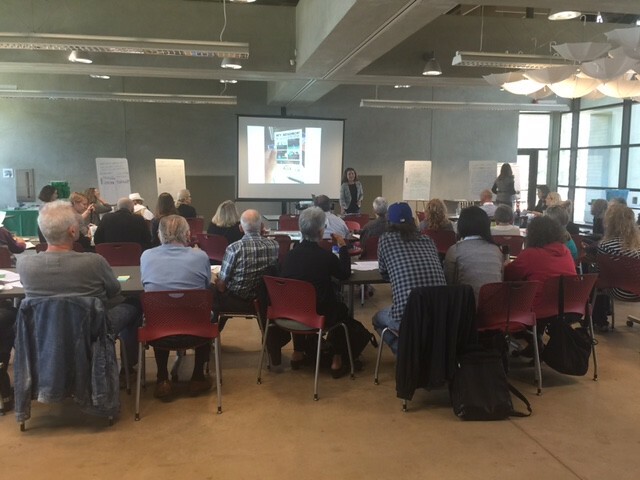 The Neighborhood Council Sustainability Alliance carried momentum forward at its first workshop on May 16 following Mayor Eric Garcetti’s announcement of the Save the Drop campaign. 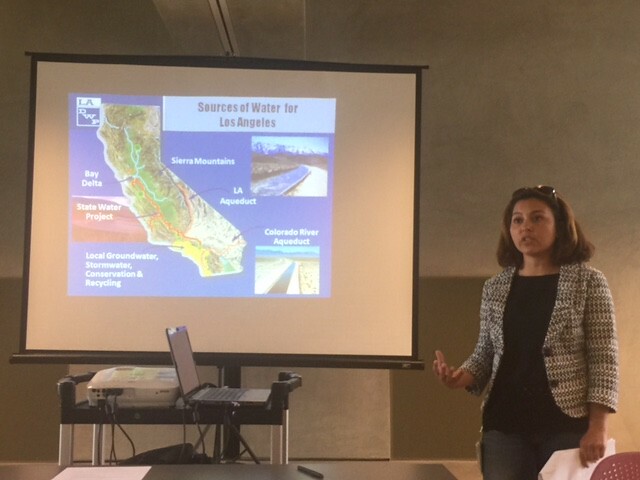 Cathleen Chavez-Morris, environmental specialist with the Los Angeles Department of Water and Power, gave an overview of where the city gets the majority of its water imported. During drier conditions, highlighted by the historic drought, the purchase price increases. “If we go over, we have to pay a premium,” Chavez-Morris added. LADWP is “committed” to reaching its “aggressive conservation goals” and is working with the city to reduce its gallons per capita per day by 20 percent by 2017, she said, as well as the amount of water purchases by 50 percent by 2024. “And task us with integrating a water strategy that invests in our resources,” she said. 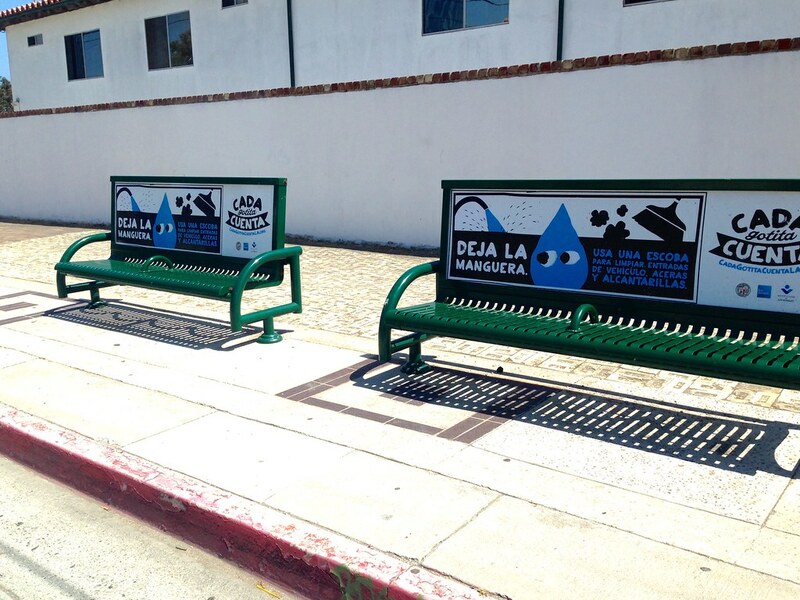 Marketing for Mayor Garcetti’s Save the Drop campaign can be found in English and Spanish on bus benches and bus stop shelters. There’s also a viral public service announcement video for the campaign that highlights a leaky faucet in a public space. Save the Drop campaign signage at a Metro bus stop in San Pedro. The mayor issued the #droughthack call to action in October, noting that the historic drought led L.A. to increase use of imported water to more than 80 percent of consumption. Reducing imported water use is crucial to L.A., and to confront it, Garcetti calls to create an integrated water strategy that increases local water supplies while improving water security in the context of climate change and seismic activity. Among calls to action for city departments, Garcetii calls upon Angelenos reduce outdoor watering to two days per week, replace turf lawns, replace any remaining high water use plumbing fixtures and appliances and ensure pools have pool covers. To ensure city agency accountability, Garcetti implemented a 10-member Water Cabinet to oversee progress. The mayor is asking Angelenos to only water lawns twice a week. LADWP has expanded its water conservation response unit. Chavez-Morris said the unit has the “ability to expand” more, if necessary. She reminded the audience to email LADWP or use the city’s MyLA311 app. LADWP offers tools and rebates, such a low flow toilets, hose washers, free showerheads and the Cash in Your Lawn program. “$3.75 is an amazing rate,” Chavez-Morris says. “It’s the highest in the state of California because we receive $2 from the Metropolitan Water District and LADWP contributes $1.75 back. In 2014, she said LADWP set a record of 1.8 million square feet of residential turf being removed. Other resources include soil moisture sensor systems, rotating sprinkler nozzles, pool pumps, and high efficiency toilets. Some resources offered through LADWP are tips on California Friendly plants to use in landscaping, irrigation techniques, installing a smart controller and get $200 back from LADWP, and the benefits of mulch. There’s also the Lawn Be Gone project through the Watershed Wise Landscape Program, which is partnered by LADWP, Selva International, G3 Green Gardens Group, Surfrider Ocean Friendly Gardens and the Hollywood/Los Angeles Beautification Team. Chavez-Morris also touched upon the benefits of using rain barrels, which offers rebates starting at $75 a barrel. The barrels are used for collecting and re-using rainwater from gutters and downspouts for lawns and gardens to minimize the amount of water flowing into storm drains, sewer systems and local waterways. TreePeople, located in Beverly Hills where the NCSA holds its workshops, has partnered with the mayor’s office for the campaign. It’s offering resources on native plants and turf reduction, a drought solutions tour and rainwater harvest. 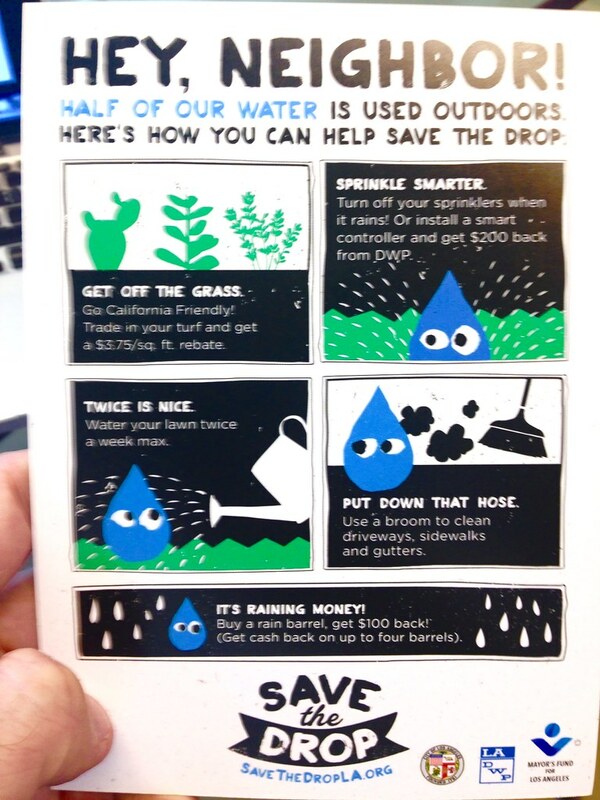 Our Neighborhood Council is putting money in our 2015-2016 budget for a fall Save the Drop program to demonstrate lawn removal and replacement with attractive water-saving plants.